Initially I just wanted to make K-7, but I really can't handle how inaccurate the kit is so I decided to make another station similar to K-7, but clearly different. 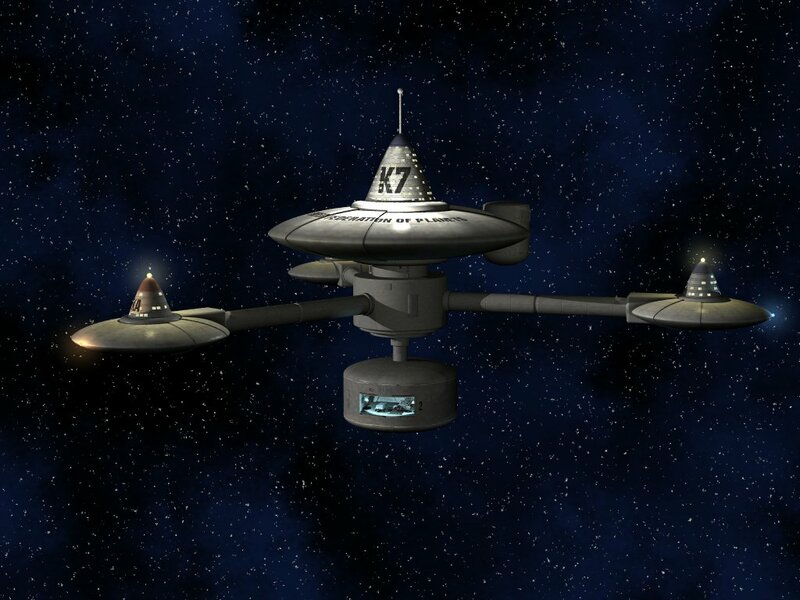 The premise of this Kitbash was to make a TOS Space Station that was reminiscent of not only K-7 but also Regula 1 and the Orbital Office Complex from TMP. G5 is a Terraforming Station, orbiting a future federation colony. The lower 3 pods are strictly for growing sections of forest in huge hydroponic bays. Those sections then get transported to the surface for plantation through huge cargo transporters. The idea is there would be several windows on the ceiling of the hydroponic bays that would allow the star systems natural UV light in to acclimate the forest to native UV wavelengths. The upper pylons are primarily for construction and implementation of federation equipment and personnel as well as stellar research of the system and neighboring planets. The highest point of the station has a botanical garden similar to the ring around the orbital office complex where officers can take a break from the daily grind ins serene environment that simulates what the surface of the colony will look like within a decade or so. The station core is assembled with wiring in place. Everything works, lights blink and all is well so far…. The Botanical Garden on the top was primarily the lower reactor dome from a DS9 model. When flipped upside down it looked like perfect large Federation type windows. I made the ground from greenstuff kneadatite putty with styrene shapes imbedded in to represent benches, tree trunks and hexagonal processor units. Once painted I added water effects to the ponds and shrubs to the tree trunks. I will use Micro Krystal Klear to make the windows when the dome is painted. The Hydroponic Botanical Pods were from Pilgrim Observer. I made a plate on the inside filled with shrubbery that would show through the windows giving the illusion of an interior filled with greenery. A white LED on the top illuminates the green while a Blue LED on the bottom illuminates the hydroponic solution vats. I used a chunk of left over clear sprue glued tot he LED to distribute the light more evenly across the bottom. 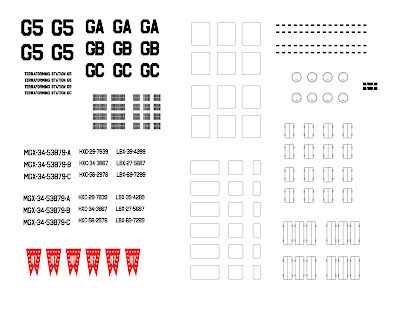 I began to make my own decal sheet for a customized appearance.